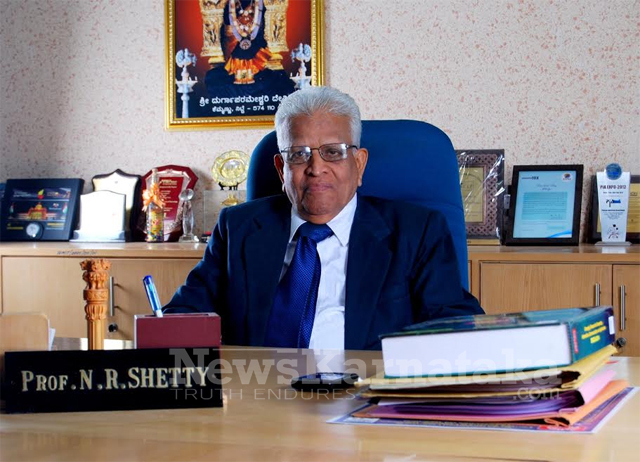 Prof N R Shetty, Former Vice-chancellor, Bangalore University and Former Member Secretary, Indira Gandhi National Center for the Arts, New Delhi (2000-03) has been appointed as the Chancellor of Central University of Karnataka as per the order issued by Department of Higher Education, HRD Ministry, Government of India. 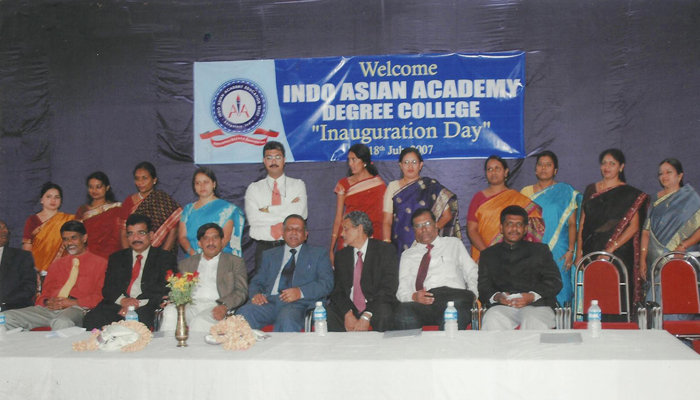 Chairman, South West Regional Committee, AICTE, bangalore (2003-05)Founding Vice President, International Federation of Engineering Education Societies (IFEES), Washington DC, USA.Nitte School of Management introduces, with pride, it's Chairman, Prof. N R Shetty - Ph.D (I.I.T.B) D Sc (Honoris Causa). Prof. N R Shetty is considered to be one of the top academicians in the country and has been a beacon of light in the academic circles. 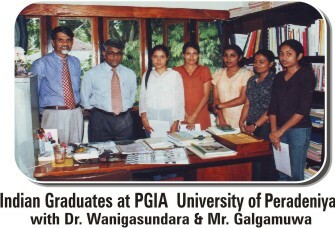 Mr. Galgamuwa Director General is the pioneer in introducing University education in India to Sri Lankan students in the year 1993. He made his vision a success through GEYEF. Closing down of the Sri Lankan Universities for long periods due to un-reset with insurgencies in the south and the prevailing long standing northern terrorist war in the country during that period. Limited seats available in our Universities. Only merely 20000 students out of over 100 000 students who sit for their A/L’s are able to enter the universities in Sri Lanka due to lack of infrastructure facilities in Sri Lankan Universities to accommodate all. To educate the youth of Sri Lanka as they are an asset to the country. Providing disciplined graduates, fit to be executives, Providing Skilled Educated Human Resources to the country. This service is also considered as a membership drive project for the Global Environmental Youth Education Foundation . The youth seeking placements will be given free membership of the foundation. 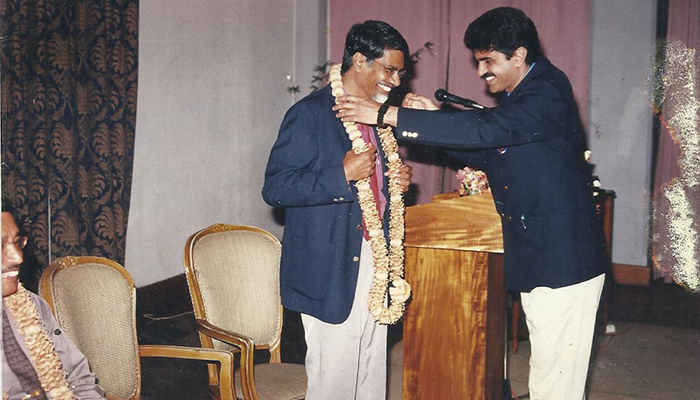 The first batch of students proceeded to Bangalore India in the year 1995. Since then over 5000 Sri Lankan students have graduated through our coordination and consultation. They are working all around the Globe at present. 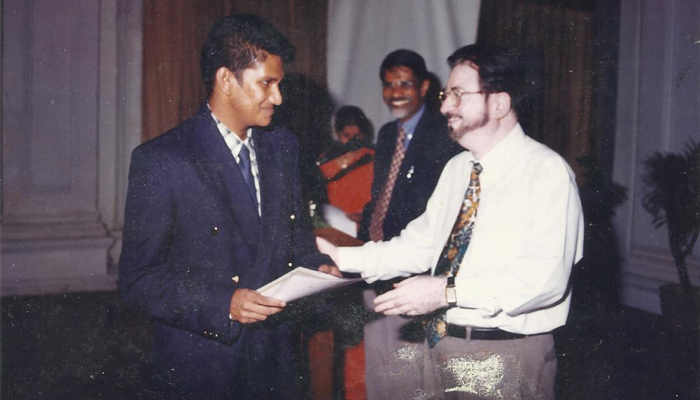 Many have completed their post Graduates, PhD’s post PhD’s etc… in Sri Lankan or other International universities. Mr.Galgamuwa is continuing to serve the youth in the world ,implementing many programs to conserve the environment and the deserving communities through GLOBAL ENVIRONMENTAL YOUTH EDUCATION FOUNDATION. 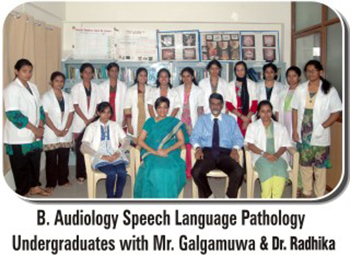 Mr. Galgamuwa motivated the undergraduates to form an association. He invited some of the undergraduates to the Peradeniya Botanical Garden and informal association was formed. The inauguration of the “Association of Sri Lankan Graduates of Indian Universities” under the patronage of the Global Environmental Youth education Foundation was a historic event. 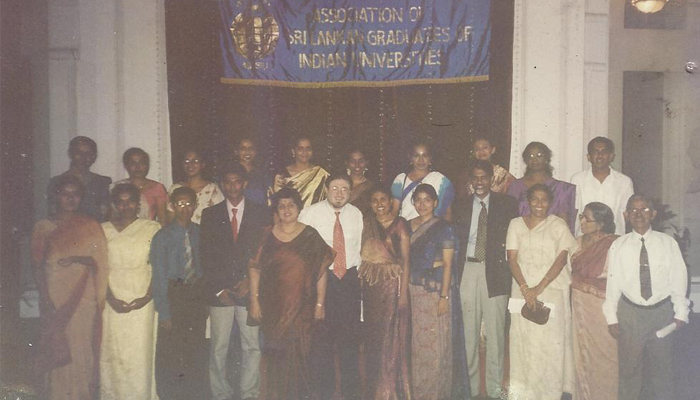 The Assistant High Commission for India in Sri Lanka in Kandy, His Excellency Mr. Achal .K.Malhotra and the Chairman of the university Grant Commissioner Prof. Mendis jointly inaugurated the association on June 30 2001 at the Queens Hotel,Kandy. 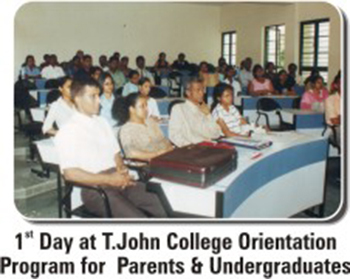 T .John college Parents Get-together. T .John college Parents Get-together 4th February 2003, Held at Hotel Swiss Kandy. The success of this program is the unique services we provide above other similar companies which have sprung up recently. We do not leave the student after doing the admission. The following services are the success of our sustainable program for 22 years. After initial registration the following programs are implemented before reporting for the academic year. Conducting Workshops and seminars By Indian graduates and visiting Indian lectures. Organizing annual Get together functions of Past and Future undergraduates, Parents & teachers meeting in Sri Lanka & in India. Circulating articles to inculcates reading habits. Accompanying the students and parents. Organizing Orientation programs in the colleges. Parents Get to gethers with the Chairman’s / Deans / lecturers of faculties. Conducting Educational tourism programs such as International Student transfer programmes, Student exchange programmes. Convocation and Final degree certificate applications processing. 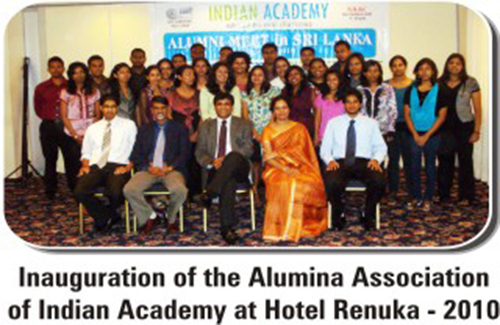 Organizing Degree Certificate awarding Ceremonies in Sri Lanka. Assisting and guiding students through proper counseling to select most latest & job oriented Post graduate coursers in accordance with their future dreams in Sri Lanka and abroad. Job placement and Carrier Guidance programs. Director General’s frequents Visits to the campuses counselling and guiding the students also getting feed back on the campuses. knowledge upgrading lectures and workshops for our graduate members. Face book group activities and many more online group participatory programs. 24 hours access to Director Generals Mobile. Some of our prestigious College Chairmen.